We have a stunning litter of red & white boxer puppies, we have both mum & dad, who are both KC Registered with Champions in their pedigree 5 generations. 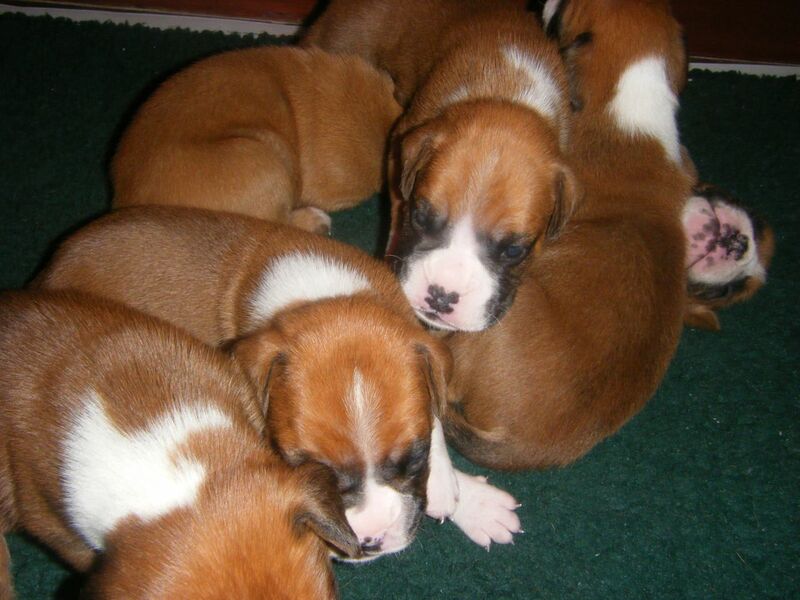 The puppies are solid chunky reds boys and girls . Puppies will be wormed, have first injection, microchipped, vet checked and come with 5 weeks insurance and a puppy pack to help you get started. £100 non refundable deosit secures pup. Any questions please call or email thank you No time wasters please .